Stamping with Loll: Espresso Yourself! Hi everyone. Here is my Design Team card for the latest challenge at Bugaboo's Catch The Bug Challenge blog - Bingo!! I picked the vertical line on the left: Player's Choice (paper piecing), circle, twine. I used a sweet digital stamp from Bugaboo called "Coffee Time - Espresso Yourself". The coffee cups are paper pieced with the designs colored with Copic markers. 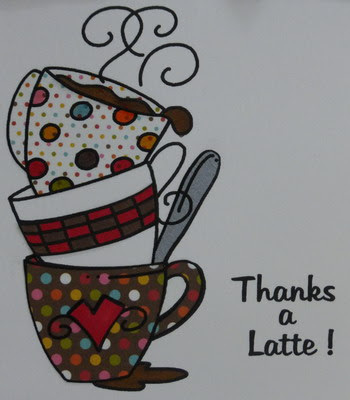 The sentiment is from a different digital stamp set called "Coffee Time - Thanks a Latte". I added two knotted strands of twine and cut out an extra heart for the embellishment. Easy, peasy and so much fun!!! 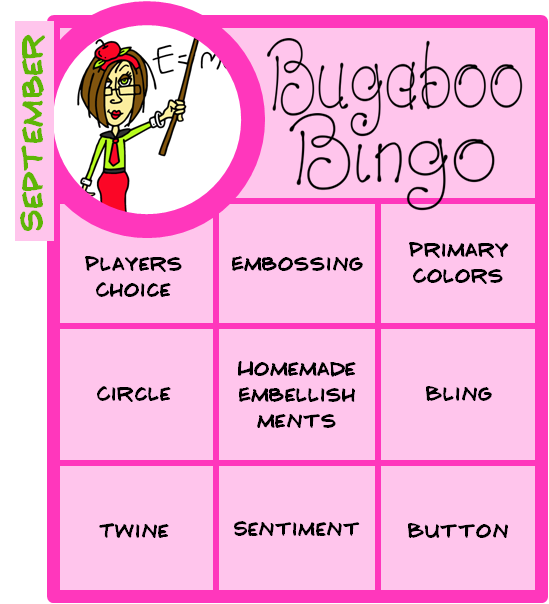 I hope you'll join us for this fun challenge!! Check out Catch the Bug Challenge Blog for the rules and to see the wonderful creations from the Design Team. Great card, love the paper piecing and the clean layout. Gorgeous card Loll-Love those little cups-the setiment is perfect and the way you have echoed the heart on the twine-simply genius ! Brilliant Loll! In fact I'd say perfect! Your card is beautiful Loll, your poinsettia is so pretty with the touches of sparkle and a love the different textures you added. I love the patterns you chose for this cute image and the puny sentiment...Such a fun card, Loll! Wow! Looks great Lol. That image is a great one and love the twine with the wee rustic heart. 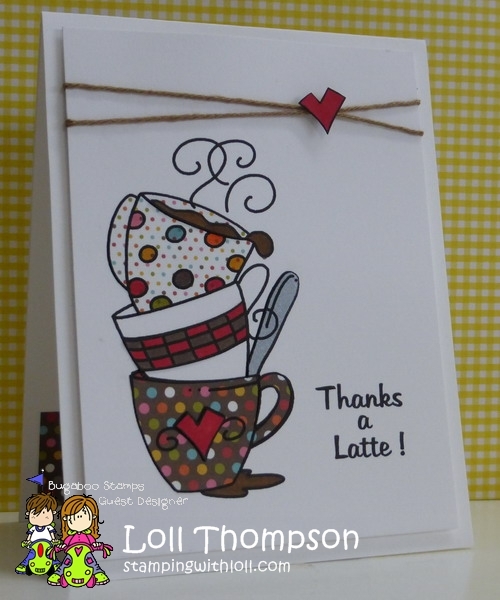 Cute card, love all the cups stacked, great design!! Speaking of coffee, think I need some!! !